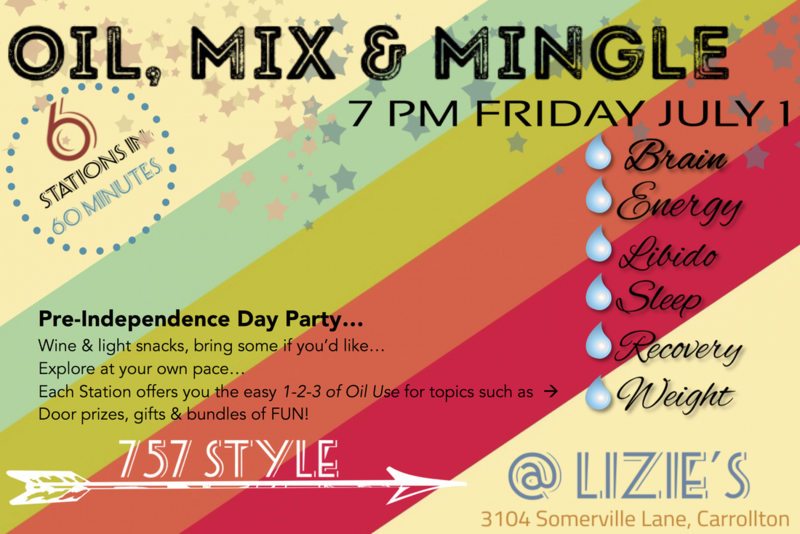 Like speed dating, but instead of meeting that special someone, you’ll “meet” Essential Oils! 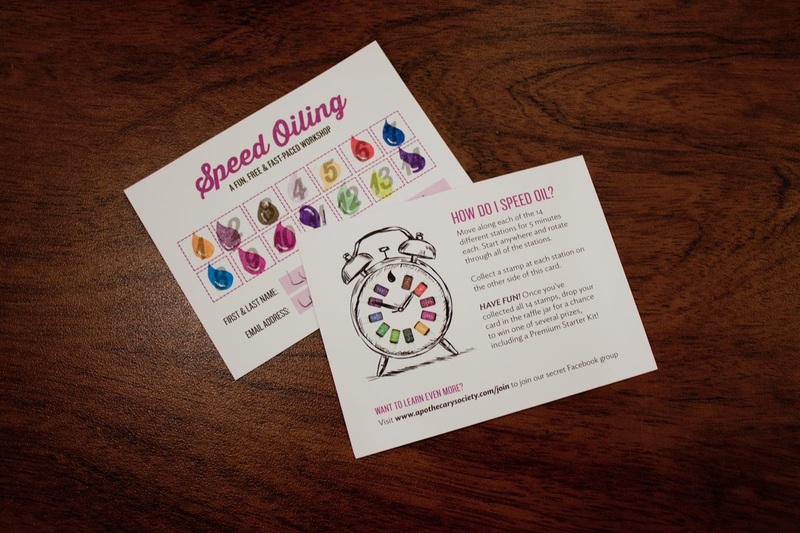 Speed oiling is a fun, fast oily education in under 30 minutes. 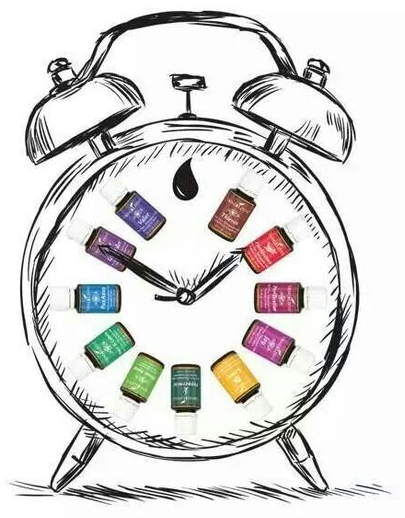 With six stations, you’ll have 3 minutes at each station to learn about various uses for the essential oils. 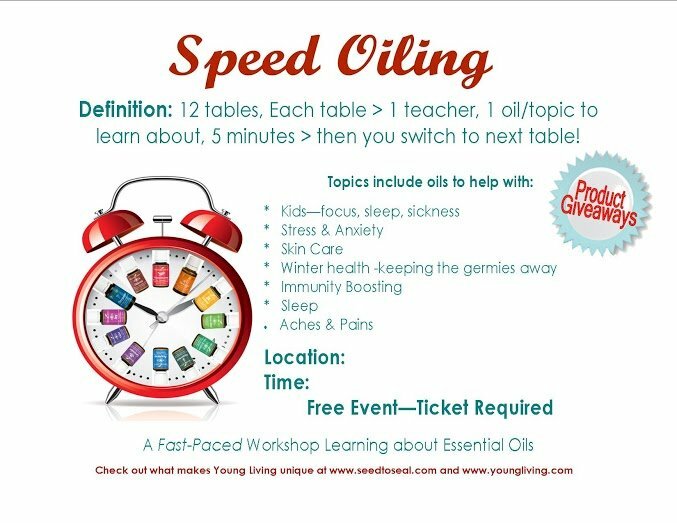 Speed Oiling is a high-energy, fast-paced, and totally fun way to learn about essential oils and various topics surrounding essential oils. 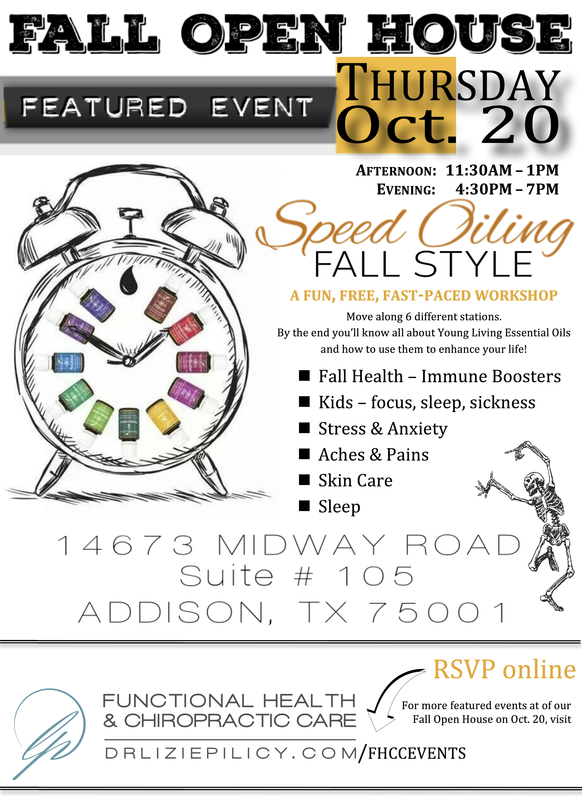 ​to host a spectacular Speed Oiling event! Invite your team to join you. Dividing and conquering is the best approach. 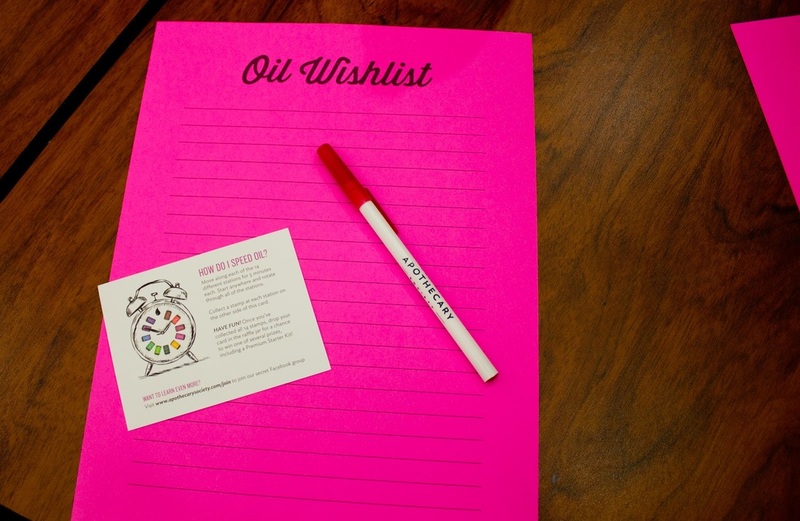 Each person can focus on one Topic for your Speed Oiling stations, and become the expert of that particular topic. 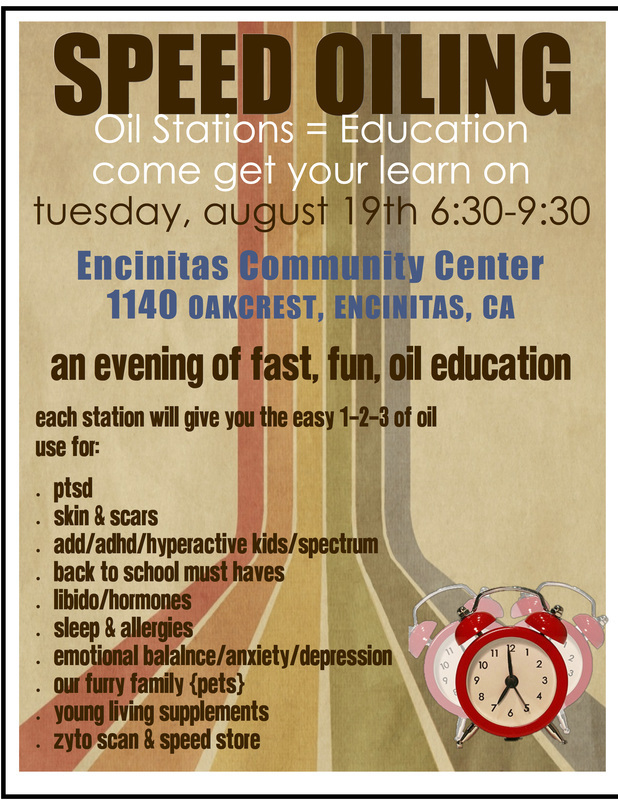 Choose the number of stations you wish to have at your Speed Oiling event. Anywhere between 6-12 is usually enough time. Dedicate 5 - 10 minutes at each station before ringing the bell to rotate to the next station. 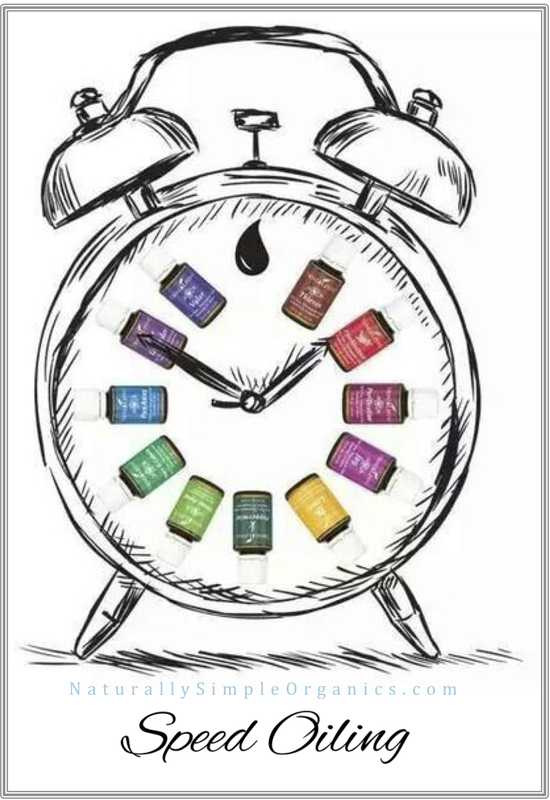 It's wise to have one specific station dedicated to teaching guests about Becoming a Young Living Member and the perks of Essential Rewards - this station could also be dedicated to enrolling new members (although, you may have some resistance with people who have yet to visit the other stations). Choose a venue (home, office, church, community center, library, etc). And of course, choose the date & time. Create an invitation - digital or written. Announce - invite everyone you know and don't know, as well as their friends and family. For private events, written invitations are always nice (and unexpected in this digital age), but email or text message invites work well too. Eventbrite, or another party planner software/website works well too. Food & Beverages: Pot-Luck is easiest, where guests bring a side dish; or if you may choose not to have any food/drinks for your guests, and just focus on oils!